Description: You can’t visit Hawaii without the picture of you under a waterfall. Here is your chance so bring a swim suite and some common sense. From Downtown Hilo find your way to Waianuenue Avenue. It is a major street on the North edge of town. You will want to visit Rainbow Falls first. 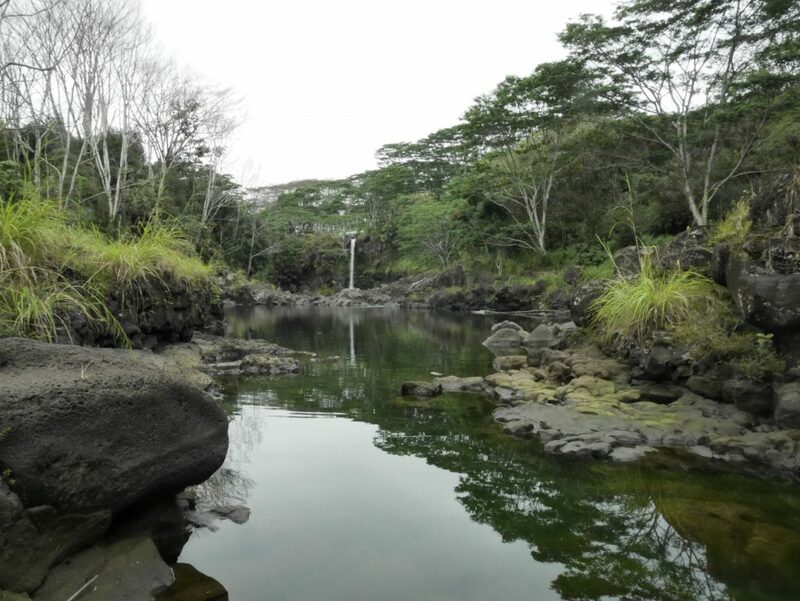 As you drive on Waianuenue street from downtown, you will come upon Rainbow falls 1.7 miles above the ocean. This way you can get wet at Boiling Pots and go back home to change. 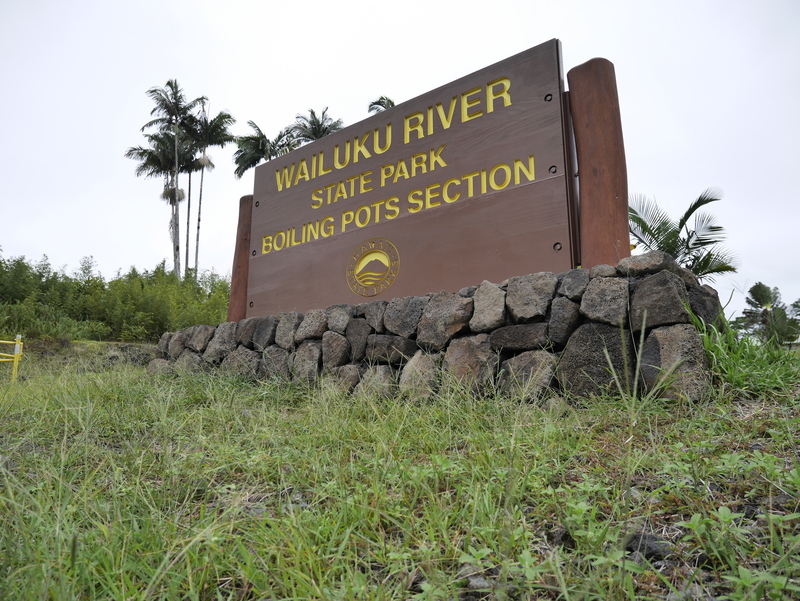 Both parks are different views of the Wailuku River, the longest river in Hawaii. The waterfall is called Pe’e Pe’e falls. 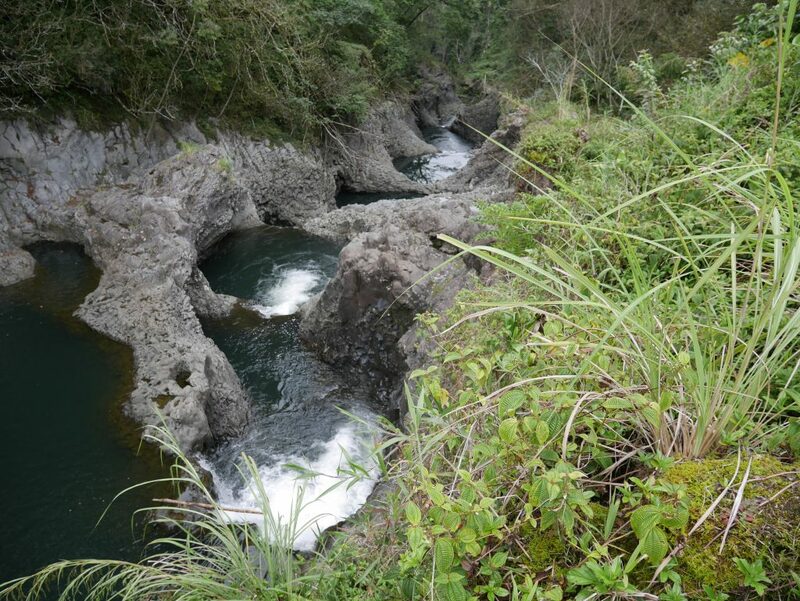 After leaving Rainbow Falls, continue up Waianuenue 1.6 miles. From the parking lot you walk a very short distance to the look-out area. Here is where you use common sense. If the river looks raging, obviously it is a bad day to go near it. This is rare. Going to the water requires going beyond the hand rail and ignoring the Keep Out sign. Remember that you are on vacation, and this is Hawaii. There is no enforcement so you can relax. Going beyond the hand rail is a short trail that leads down to the water. The trail can be a little tricky, but just take your time. Under the waterfall is a large pool of water. Enjoy a cool swim and get that great photo. Spend time walking around the rocks. If your lucky, you will see locals jumping off rocks into pools. I don’t recommend doing this. This spot is really one of the pretty areas, which is why it is worth taking the trail down to the water. Wailuku Sign on side of road. Right in Hilo! One of many Pots where Boiling Pots gets its name. 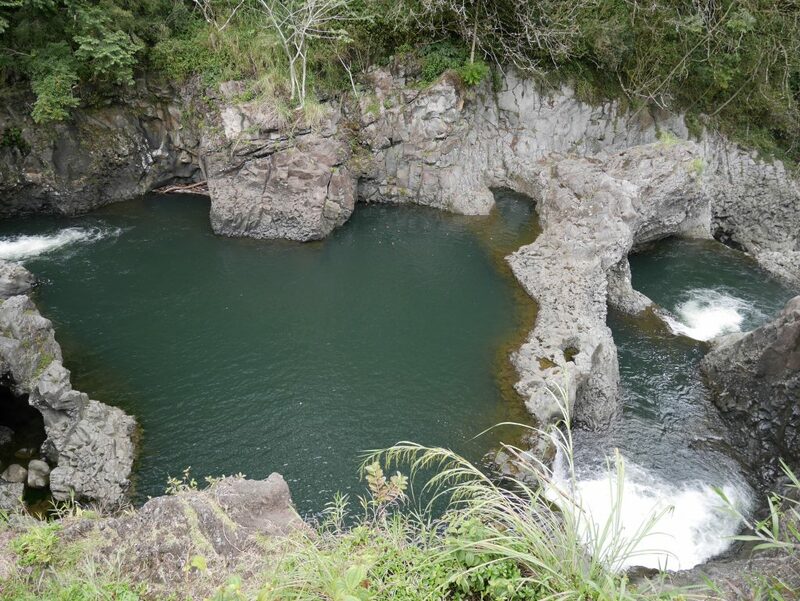 Pot where locals will dive. Bad idea as a tourest.